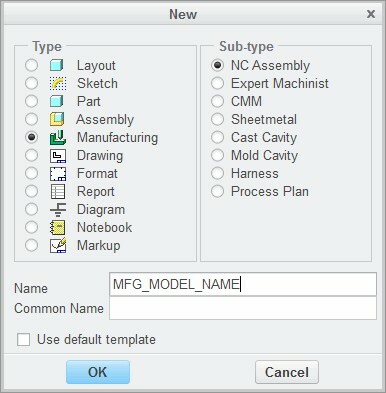 ways in which you can configure manufacturing parameters. – CUT_FEED – Controls the feed rate of NC sequences during cutting motions. 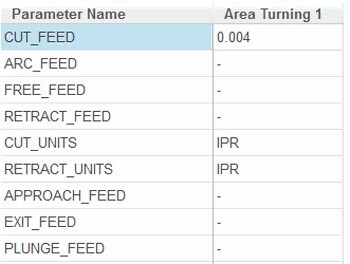 – SPINDLE_SPEED – Controls spindle speed in NC sequences. – STEP_DEPTH – Controls the incremental depth of each pass when cutting. 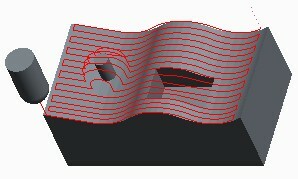 – SCAN_TYPE – Controls the method of scanning the machined area. – Feeds and Speeds – Parameters such as CUT_FEED and RETRACT_FEED. 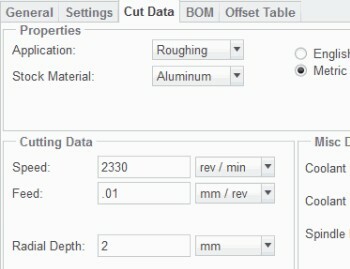 – Cut Depth and Allowances – Cut parameters, such as STEP_DEPTH, and stock allowance parameters. 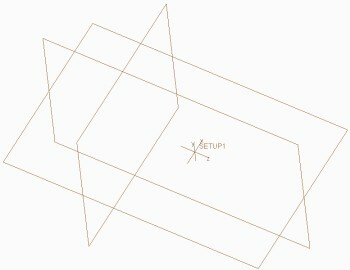 – Cutting Motions – Parameters that specify the type of the cut, such as SCAN_TYPE. – Entry/Exit Motions – Parameters that specify the entry and exit path for the tool, such as plunge angle, lead-in, approach, and exit path. – Machine Settings – Machine-related parameters, such as spindle speed and coolant options. – General – Machine and NC data file names. • Required Parameters – These are parameters that you must set to create an NC sequence. – Examples include STEP_DEPTH, CUT_FEED, and SPINDLE_SPEED. you to easily identify the parameters required to create an NC sequence. • Optional Parameters – Some parameters are optional and you can set them if required. They provide additional control of the toolpath. – One example is PLUNGE_FEED, which you can use instead of defaulting to the CUT_FEED. 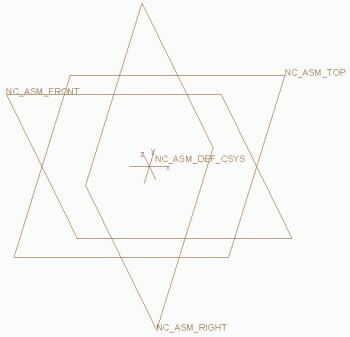 • The parameters available for configuration can vary depending on the type of NC sequence that you are creating. 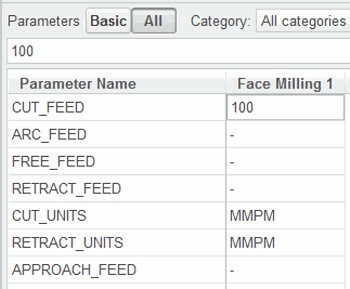 – Some parameters such as feed rate and spindle speed are present in all NC sequence types.